Roshna Kapadia has an MA in South Asian Studies from the University of Pennsylvania and has recently completed an MA in Art History at George Mason University. Although her primary area of focus is South Asian art (Buddhist sculpture, Hindu architecture, Islamic painting from the Mughal era), she also lectures student groups, visiting tourists, and adult audiences in the Washington DC area on a wider set of art history topics. What is King James I of England doing in an Islamic miniature made by a Hindu artist? 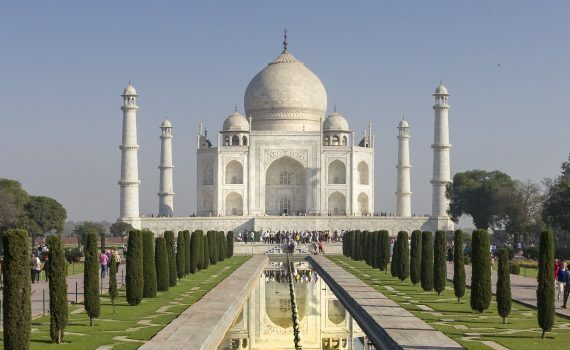 This huge white-marble mausoleum is recognized the world over for its splendor, symmetry, and stunning gardens. Who’s that in the plumed hat? From emperors to kings, the painter Bichitr mastered court portraiture.